You never know where you’ll end up in an electronics technology career. You may work for this Davenport, Iowa, company helping design robotics for manufacturing. Genesis Systems is a technology leader, designing customized robotics for manufacturers. The work is challenging, interesting and varied. 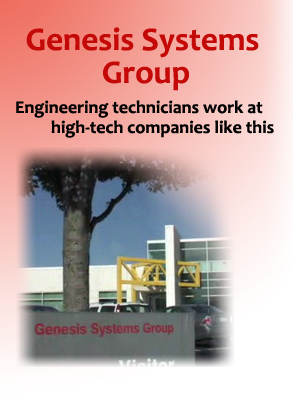 Watch this video to give you an idea of what Genesis Systems employees do. You are currently watching the Genesis Robotics video in high resolution. We also have medium resolution and low resolution versions available depending on your internet connection.